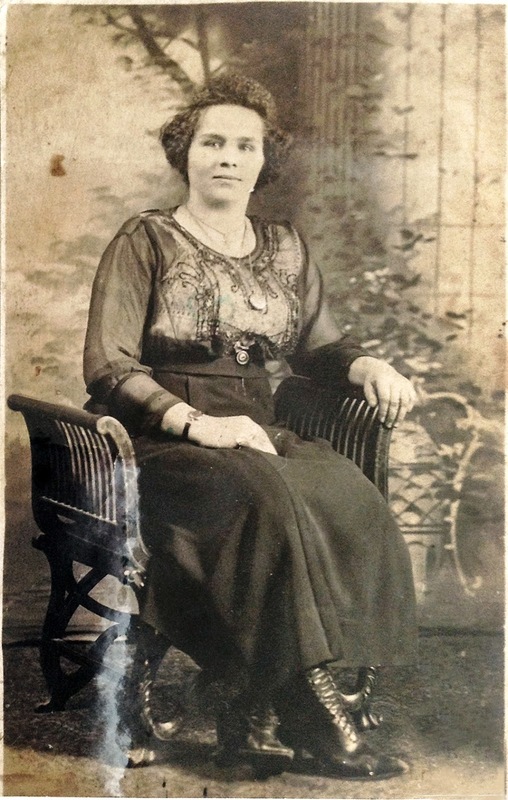 Anastazija Radauskaite was born January 22, 1892, in Gikoniai village, Lithuania, the fifth of twelve children and the oldest daughter of Ignatijus (Ignotas) Radauskas (1858-1913) and Agota Guokiete (Guokas) Radauskiene (1861-1942), the older sister of my great-grandfather Charles (Kazimieras) Guokas (1863-1939). Anastasia came to the United States in 1912, and married fellow Lithuanian immigrant Joseph Anthony Polianski (1890-1952) on June 1, 1914, at St. Alphonsus Catholic Church in Baltimore, Maryland. They had two daughters and two sons between 1915 and 1934, and eight grandchildren. Anastasia died in January 1978.